IMPOWER has been at the forefront of the public service reform debate for nearly a decade. Its commitment to the public sector can be found in the extensive research reports it publishes, events it holds, sponsors and supports, and the energy and effort it puts into each project. At the heart of IMPOWER’s recent success is the belief that we must constantly improve to measure up to the challenges local government and the NHS face, both intellectually and practically. To achieve this, we have continually invested in our organisation, whether by growing our capacity to support clients, embracing challenges other consultancy firms felt were too risky, or by taking a stand against ministers and regulators alike in defence of the local government family. IMPOWER is investing in its future again, so that it can support more organisations, and drive bigger and more radical change to the way we deliver public services. As reported yesterday, we would like to announce, effective from 1st August 2016, that Helen Bailey will be taking over as the new Chief Executive of IMPOWER. Martin Cresswell will be stepping up to the position of Vice Chairman of the Board where he will now take a more proactive role in enhancing the quality and breadth of IMPOWER’s relationships in the market. “I’m delighted to be joining IMPOWER at an important moment in its history. Having grown and developed extensively under Martin Cresswell, I know that the foundations upon which I build are solid. I am passionate about public service and look forward to delivering great public services for our clients at this challenging time. IMPOWER’s work in recent years has been particularly powerful, taking demand-led thinking from the fringe into the mainstream and leading the call for a profound rethink of the way we work with people to deliver change in public services. The organisation must now aim higher still. 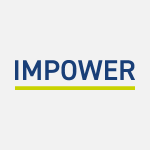 “I couldn’t wish for a more capable and accomplished individual than Helen Bailey to take over at IMPOWER. Helen’s experience, with near two decades at the very top of public services; from local government, the Treasury, and the Mayor’s Office for Police and Crime, make her the ideal candidate to take IMPOWER into the future. Helen will help IMPOWER to grow further, supporting more organisations and continue its mission of making public services fit for the 21st century.